1. Won’t reviewing the reports generated by the bulk trademark watching service add to my already busy workload? Our reports are concise and logically presented, sorted by client, owners or correspondent, and can be easily reviewed for items that may be of further interest to you. You need only take minutes to spot potential opportunities. Furthermore, you have the freedom to schedule your review anytime you decide; you are under no pressure nor obligation from your client to do so. 2. 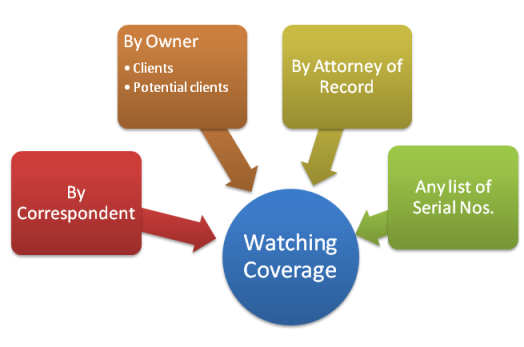 How can the bulk watch service increase my TTAB litigation practice? Simply put, the more trademarks you watch the greater your chance to find matches leading to potential opposition work. Moreover, you can also use this information to solicit business either from new clients or from clients whose marks you may not be the correspondent for. Either way, by showing your diligence in their interests, you stand an excellent chance of representing them in future TTAB litigation. 3. Will the service increase my liability towards my clients? Since your client has not specifically engaged you to watch their mark(s), there is no expectation for you to take action, nor liability on your part if you choose not to inform them or pursue it further. 4. My clients needs are being met with other watch services. How will Towergate’s bulk watch service help my clients? 5. How do I choose which marks to watch? We want to make it easy for you to realize the full scope of potential of your client’s marks. Our bulk trademark watching service is competitively priced to enable you to watch all of your marks. We can help by designing a suggested portfolio watch for you based on a number of factors, to help you stay within your budget. 6. Can I change the number of, and composition of, the marks being watched? Yes, you can change the composition of the marks you are watching once per year at no charge. Since our service is based on blocks of many marks, you can purchase and fill up additional blocks anytime you need to. Also, if you are not watching your total allotment of marks, you can fill it up anytime at no additional cost.